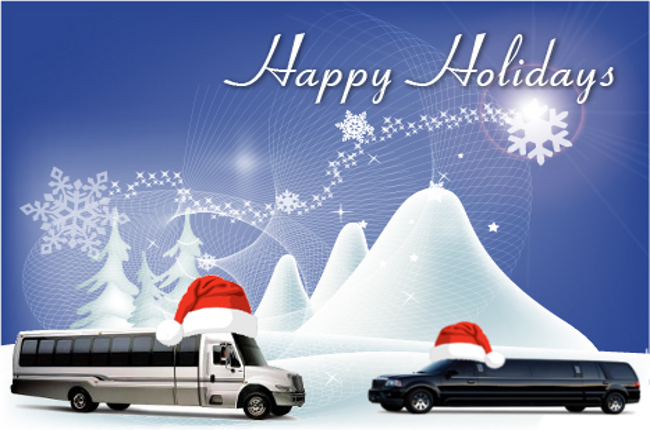 Christmas is the “Hap-Hap-Happiest Season of All” and our Orange County limousine service is here to make sure your holiday is even more enjoyable with special savings on your Xmas limo rentals, exceptional service and a fleet of limousine that will make your holiday celebrations more complete. 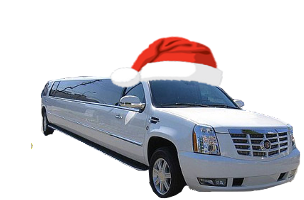 SAVE 10% OFF of your Los Angeles or Orange County Christmas limousine needs. This includes all seasonal holidays: Christmas, Kwanzaa, Hanukkah, and New Years Eve services. Request a quote online or call 714-282-8425 or 1-888-722-2202 to reserve your party bus or limo before your favorite luxury vehicle is gone. Orange County Christmas Limos and Party Bus Rentals – Get a quote today! We understand the hard work that goes into planning your Christmas celebrations. We will help you get this part of the planning just right. Our customer service representatives will work with you in choosing one of our luxurious Christmas limousines, luxury cars or limo bus for your special occasion. We have executive vans, luxury vans and mini bus services available for holiday light shows, sightseeing tours and transportation for groups visiting Orange County, Los Angeles and other local Southern California areas for the holidays. It is our pleasure to make your 12 days of Christmas and New Year celebration even more memorable. Build memories & impress loved ones, business partners, friend with an unexpected gift this season. Limousines Gift Cards are a unique and thoughtful gift any time of year. The recipient can use their gift card for Christmas limousine service in Orange County, Los Angeles County, San Diego County, Riverside County, San Bernardino County or Temecula Wine Valley, or later during the New Year. Call 888-722-2202 to ask one of our representative how you can get your Limousine Gift Cards today!